These days, many of us wear several hats: songwriter, producer, mixer and more. This is great, but when it comes to mixing, decisions can be easily biased by being so closely acquainted with the music. It often takes a village to make a record — over the years it’s been rare to see one person credited for writing, performing, recording, mixing and mastering a single record. However, in today’s world, it is quite common for artists to record, produce and mix their own music. It’s possible to make quality recordings using little more than a laptop and a microphone. If you’re not careful, conquering every step of the process all by yourself can make a jack of all trades, but a master of none. Demo-itis is a non-clinical condition experienced by songwriters and recording artists. It is typically caused by listening to a demo, or rough version of a song for too long, causing the artist to get attached to the organic feel and nuances, possibly making it feel foreign to hear a polished, mixed studio version. People who suffer from demo-itis often feel that the demo has a certain charm that the studio version was unable to capture. It can even cause aural hallucinations: like the inability to hear an out-of-tune guitar, or a flat note. Try to distance yourself from the demo and listen without being biased. Identify what you like about it, what you want to change about it, and make notes. It’s easy to lock yourself away in a basement studio, endlessly tweaking your work. When do-it-all-yourself musicians mix their own records, they tend to do it in the same studio they recorded in, which creates an incredibly narrow listening, and hearing perspective. 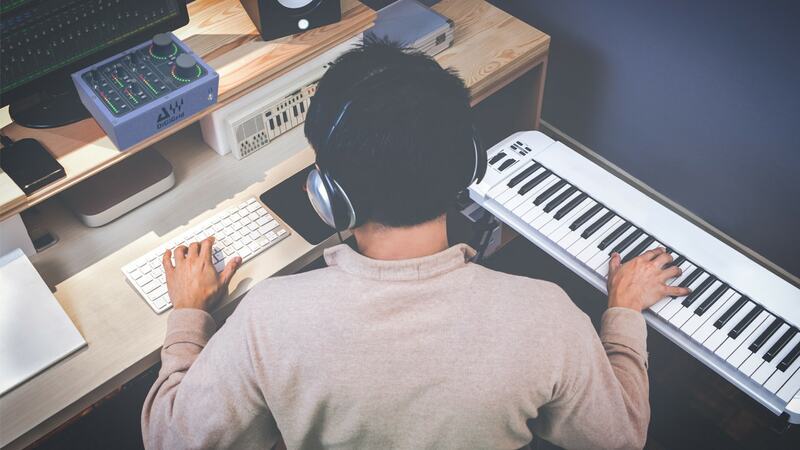 By mixing in a different environment, you can hear an in-progress work with fresh ears. Not only does the change of scenery do wonders for your psyche, the new room dimensions (and potentially new equipment) will allow you to recognize problems you may not have noticed otherwise. For instance, if your room has a problem with the acoustics — say, a build up around 500 Hz, you’re going to overcompensate by removing too much in that area, causing your track to sound thin on a properly tuned system. As many of us do not have the luxury of multiple workstations, we can still combat this problem: try to reference your mix in as many different places as possible. Listen in your car, on your stereo at home; you can even listen on your laptop or your phone — just do it in a different room! Occasionally, in a group, whoever is in charge of mixing may choose to bring their opinions into the session. For instance, maybe they dislike a guitar riff so they bury it in the mix, or they think the bassist is sloppy so they unnecessarily quantize the performance. The more involved someone is in the process of making the record, the more emotionally attached they become, and the more emotionally driven their decisions become. Keep this in mind whenever you step foot in the studio, and be sure to check your ego at the door. The only way to prevent this problem is to be aware of it and to actively make an effort to stifle those actions. If you trust your unbiased ear, use it and make the mix decisions that need to be made. If you value the feedback of other trusted individuals, ask for their feedback. Oftentimes, cutting tracks in the recording studio can be a labor of love. The longer you spend trying to nail a particular part, the more likely you are to feel obligated to keep it. Unfortunately, just because you spent a lot of time on a part doesn’t mean it belongs in the final mix. Remember, effort does not necessarily equal quality. Part of mixing is editing: deciding which mics to keep, when to mute a channel, or even which parts need to be cut. Not every mixing engineer takes these liberties, nor should they; but it’s nice to have another set of ears assess your arrangement without being biased because they were a part of the recording process. This can be a tough issue to overcome. It can be very difficult to disconnect yourself from your involvement in the project and assess objectively. Ask a few trusted songwriters, musicians, and producers to listen to your track and give you feedback. This is another one of those times to check your ego at the door. When you’re the only one responsible for recording and mixing your record, it can be very difficult to separate the two phases. If you were using a separate mixing engineer, you’d be forced to commit tracks before sending them off. Committing tracks is an important part of the recording process that allows you to build upon a foundation. When musicians mix their own records, it’s often all done within the same DAW session. That means you don’t actually have to commit to anything during the recording process, like that cool flanging effect on the synth pad or the giant reverb splash for that snare hit in the chorus. You can always “save it for post,” or “fix it in the mix,” which are some of the most dangerous words ever spoken in the studio. It’s always best to get creative production decisions right at the source; a better recording makes a better rough mix, which makes a better final mix, which makes a better master. A simple way to force yourself to commit is to record and mix in separate DAW sessions. After recording, do all of your printing, editing, and labeling, then export the tracks into a new session where you can start mixing from scratch. After spending hours writing the right part, sculpting the right tone, and capturing the perfect take, it can be exhausting to try to find ways to improve it any further. Oftentimes, musicians lose sight of what they’re listening to after being exposed to it for so long. Take a break and listen to something else! Adding a plugin to a track can make it feel like you’re making progress. A little EQ here, a little compression there, maybe some effects. That’s all well and good, but did you listen to the track first? Did it actually need any of that or did you just do it because you think you’re supposed to? It’s easy to slap a plugin on a track, but that won’t necessarily make it sound any better. Mixing is reactive — you need to analyze a signal, and assess what you like about it and what you dislike about it, and determine if it’s working to well-serve the arrangement and the mix; if not, decide what it may need more or less of to fit its role. How are the levels? Is the lead vocal sitting in the right place with kick, snare and the rest of the track? A simple solution is to use reference mixes. Every so often during your mix session, take a listen to some tracks from your favorite records with a vocal sound appropriate to the one you’re working on. Remember, you’re not trying to match the sound of the reference exactly (your favorite records are mastered; your mix should not be as loud as a finished master) – you’re simply using it as a measuring stick for the balance of the lead parts with the rest of the instruments and so on. When recording, one goal is often to capture the magic before it dissipates. That means you have to work fast. Maybe you want to add reverb to a vocal, but instead of taking the time to set up an effects send in a tracking session, you just slap the plugin directly on the channel with its ‘mix’ setting down low. “Damn the rules; it may not be pretty, but it works.” That’s fine for recording, but when it comes time to mix you’ll wish you had more control. After tracking, organize your session as if it’s to be delivered to a contracted mixer. And when you’re mixing, treat it as if you’re working for a paying client. Be neat about it! Your work will thank you. When mixing your own records, the best thing you can do is to separate yourself from the process. Try to remove your attachment to the material from the equation. Separate the recording and mixing phases as much as possible. Make sure you leave yourself time to cleanse the palate. Most importantly, try to listen to the track with fresh ears — try to listen from the perspective of the listener. How will they hear it when it’s played for them the very first time? Listen to reference mixes, and listen often. Put yourself in the shoes of a for-hire mixer and of a fan, and you’re far less likely to make the mistakes of a musician. So, you're mixing some of your own music. Want tips for how to master it for online streaming? Watch here. Do you have any tips that we missed? Share them in the comments below.